One of those bands that fell by the wayside in sales in 1984 was Y&T with In Rock We Trust which is surprising for two specific reason’s…. 1- The style of Hard Commercial Rock is plastered throughout the grooves of IRWT! 2-My good pal Tbone even cracked open his wallet and shelled out his hard earned dough at the time(working at a Gas Station) for the cassette version of IRWT! One of those mysteries of Rock when a band puts out a solid ball of music yet for some reason falls a wee short in the sales department! Finicky marketplace I suppose as it was no lack of effort from these guys who could write/play and deliver the goods so to speak. If you recall from my review of Y&T’s Open Fire only Lead Singer/Lead Guitarist Dave Meneketti is still alive while Leonard Haze /Phil Kennemore/Joey Alves have all passed on! R.I.P Fella’s and Thanks for the Music! 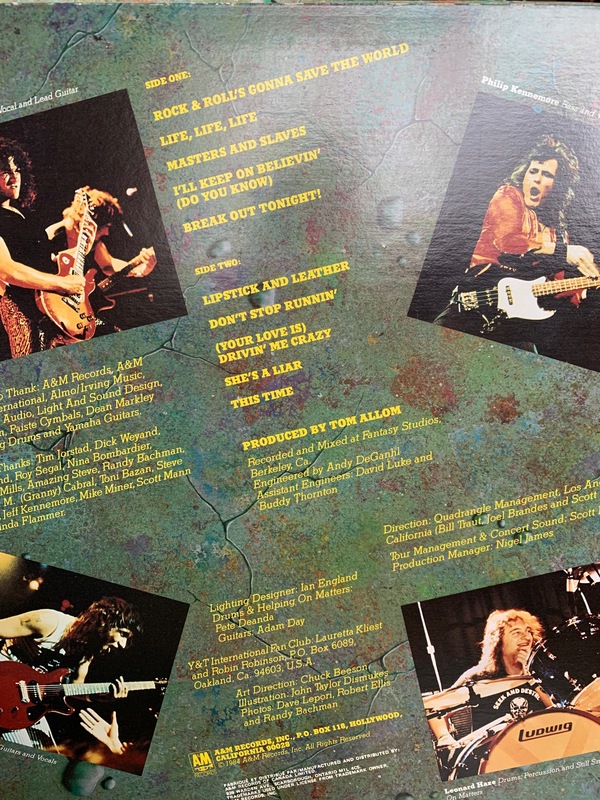 Moving on this album featured Tom Allom behind the producers desk as Tom as we know produced all those Judas Priest albums at the time back in the 1980’s so Y&T even had the ace producer in the back pocket as well. The production on this album is solid as well. Before the release of IRWT I had heard the two previous studio efforts that being 1982’s Black Tiger and 83’s Meanstreak album. Y&T always dabbled between hard rock tracks on the album mixed with more Melodic Rock tracks. Y&T did this style of rock so they weren’t really following the so-called ‘Trend’ at the time. In Rock We Trust makes no exception to this rule. You have your straight ahead rock tracks like opener Rock N Rolls Gonna Save the World/Masters and Slaves/Breakout and She’s a Liar. Whereas these guys would take the foot off the rock gas pedal and dial it slow somewhat usually with a mix of rock n blues with tracks like I’ll Keep On Believin and This Time. This album does have some cliché on it but fair enough that was the game back in 84 that had to be played but I will add that the two opening tracks on Side 2 are stellar. Lipstick and Leather is so oeey gooey its catchy as Hell. Listen to that chorus! Meneketti could sing a great rock track while the next song Don’t Stop Runnin which was the big single from this album was solid as well and why it didn’t lift them the band off to the next level who knows. Once again Finicky Market! This was a long overdue revisit with an album that has surprisingly stood the test of time! Course the lyrics at time are a bit funny but this was 1984 and it was about Happy Good Time Rock! 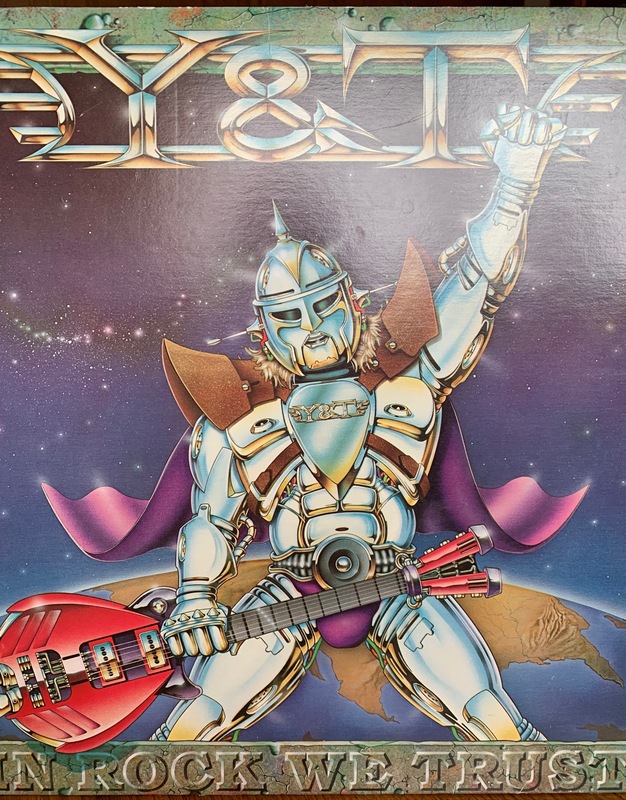 Y&T delivered a pretty decent album….. I don’t know how in the hell I missed this album back then. Great review of it. It is one that flew in under the radar isn’t it? One of those albums I always wanted because of the single, but still do not have! Better than Like a Virgin? True about the covers John..
Give it a shot on the streaming stuff u use. This album is FUN! Plain and Simple! Nice one Deke! IRWT is no DFTC lol. You know that I love their album covers, eh? If I spotted this in the wild I’d snap it up in an instant. I haven’t heard it, but I will. Great review. I appreciate the accent aigus on “cliché” Deke! Y&T… image was staring to become more important than music and unfortunately it got to Y&T because by the time they did Contagious the band started to look very MTV friendly but when you are cashing the hit the audience you pick up is not the one you want. In Y&T’s case here it still didn’t take em to the next level!